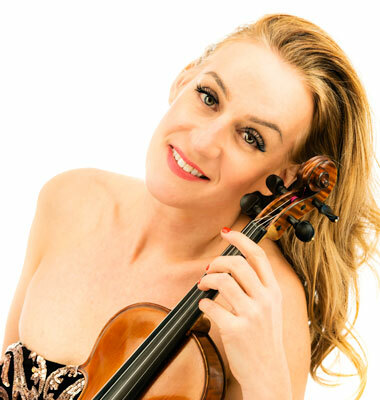 Lisa has performed at many exclusive private parties and Weddings in venues such as, Skibo Castle, Claridges, The Dorchester, Chantilly Chateaux - Paris, Celtic Manor, Hever Castle, 8 Northumberland Place, etc. If you have a private event, Lisa will tailor her playlist to your event and make it bespoke; just for you. Her easy listening and chill out playlist are perfect for drinks receptions, lunches, dinners and cocktail events. 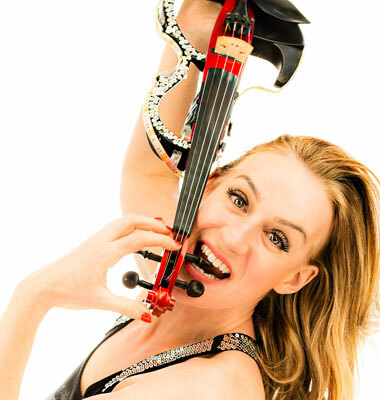 Lisa’s performance will add the wow factor to any event! 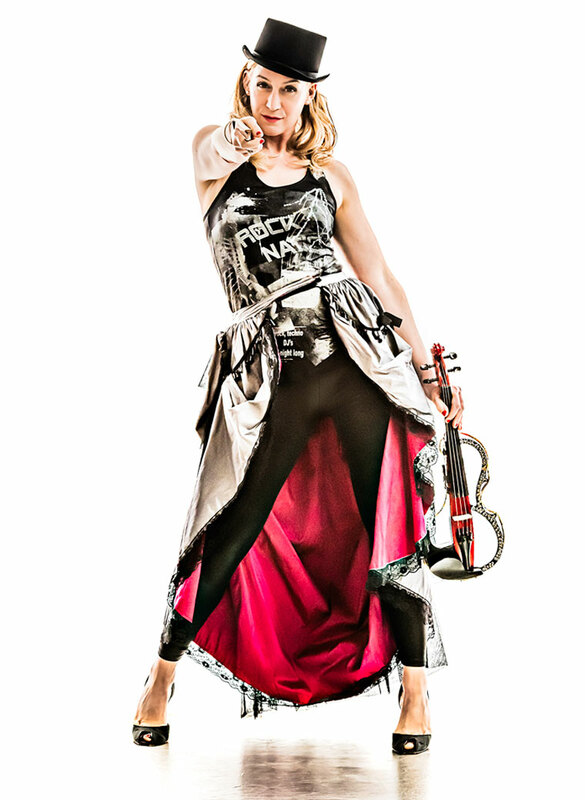 Lisa Rollin is a highly experienced performer who can dovetail seamlessly from Classical violin to Electric violin adding an exciting element to any concert or show. AV and Tech Spec can be supplied upon request. Lisa uses professional quality backing tracks, in-ear monitoring systems and radio packs for the instruments. Spice up and energise your corporate event with a high energy choreographed after dinner cabaret. 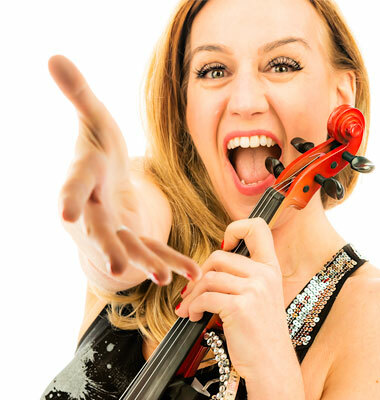 Lisa can offer a 2 in 1 package where she can perform on Classical Violin for the drinks reception and then do a costume change and switch to Electric violin...! Perfect for product launches, awards dinners, film premieres, etc. 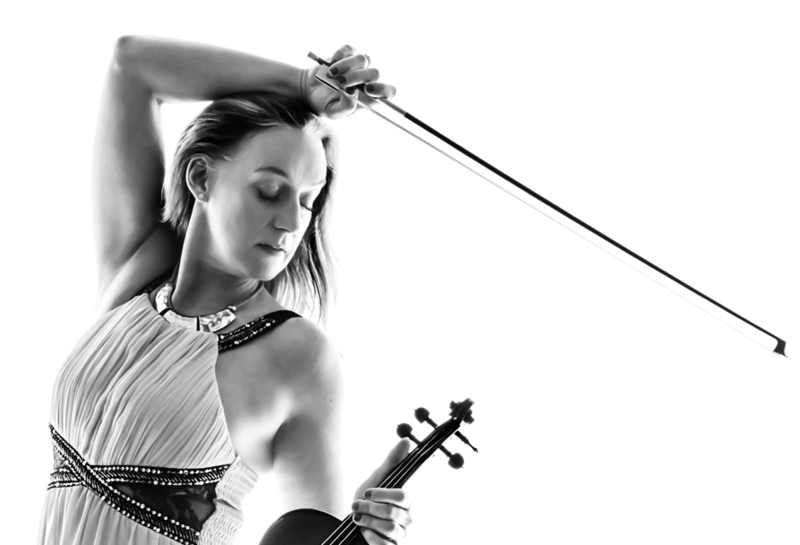 Lisa can create a bespoke and truly personal performance for your special occasion; including the option of learning a new track or piece specifically for your event. Lisa has many Bollywood pieces in her repertoire. 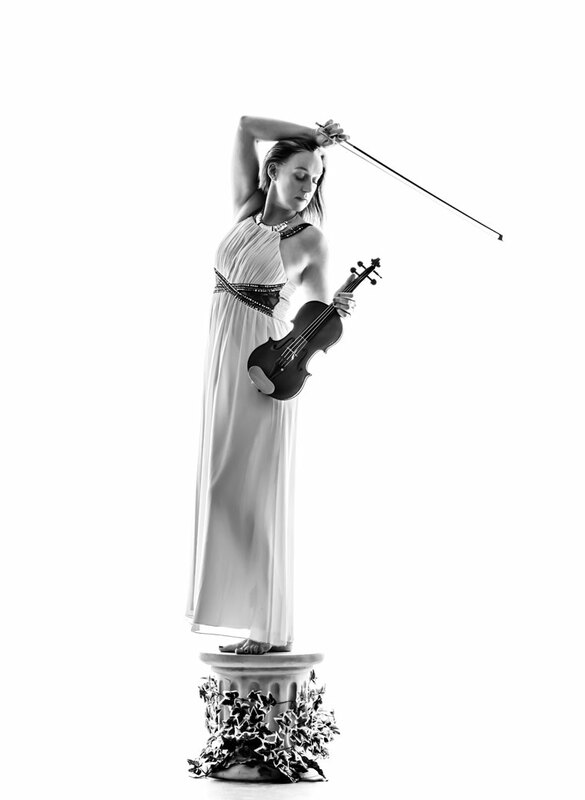 “Lisa was not only a great Violinist, but a great performer with an easy-going personality." "Lisa played at Genesis’ 20th Anniversary event in Aberdeen last year … looking and sounding absolutely sensational and “raising the bar” in respect to corporate entertainment. A night to remember for our clients and staff." "Thanks again Lisa - such amazing feedback received and your playing as always was mesmerizing and you looked stunning!" "Thanks for playing at our Christmas party Lisa. You really livened us up after dinner and set the scene for a great night!" "Lisa and her team played at a high profile client event my company held at Christies Auction House in London just prior to Christmas. Our clients are business leaders/professionals who operate at the highest levels so are used to the very best! Lisa and her team were outstanding. The music was superb, helping set just the right tone for the evening. So many people commented positively on how wonderful and different it was to have professional strings players at the event. Thank you Lisa!" Live music is the backbone of any event. Don’t take a risk, book a consummate professional, Lisa Rollin and make your event STANDOUT! Performance times to be discussed and catered to for the clients needs. For any enquiries call on 07947 813 730, or use the form to specify, date, venue, audience size, timings etc and we will endeavour to reply as quickly as possible. We will be delighted to hear from you! Copyright © All rights reserved | This template is made with by Colorlib. Photography by GBdancestars.